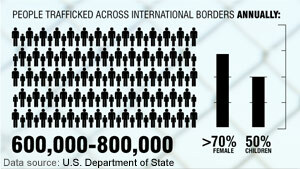 In parts of Africa, still haunted by the 19th Century trans-Atlantic slave trade, new forms of slavery are thriving. 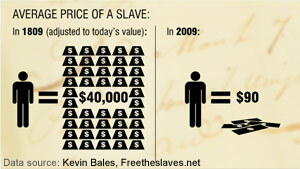 According to the 2013 Global Slavery Index, four of the world's worst 10 countries are in west Africa. In this film, CNN reporters examine why slavery still exists, including among children. They talk to victims, activists and politicians accountable for stamping it out. 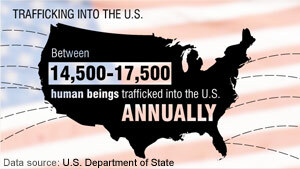 This Freedom Project film aired on CNN International TV in January. Now you can see it here in its entirety without commercial breaks. (CNN) - A Mauritanian anti-slavery activist, Biram Dah Abeid, will be honored on Friday by the human rights group Front Line Defenders. Abeid, who is the head of a group called IRA Mauritania, was featured last year in the CNN documentary "Slavery's last stronghold." 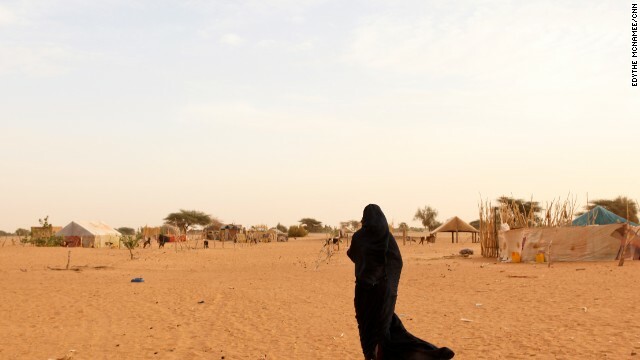 Mauritania, a desert country in West Africa, was the last country to abolish slavery; and an estimated 10% to 20% of its population lives in some form of slavery, according to Gulnara Shahinian, the UN's special rapporteur on contemporary forms of slavery. CNN has won two honors at the 2012 Investigative Reporters and Editors Awards - one for an online-led Freedom Project special report on modern-day slavery in Mauritania and one for its coverage of the attack on the U.S. consulate in Benghazi, Libya. For Mauritania, the judges said 'Slavery's Last Stronghold' upholds "the highest ideals of journalism" and recognized the covert reporting of CNN Digital reporters John D. Sutter and Edythe McNamee. Senior international correspondent Arwa Damon and photojournalist Sarmad Qaseera won in the breaking news category. 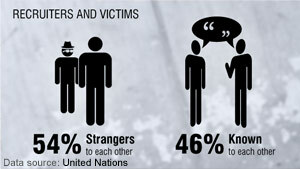 The reporting shed light on the attack which killed U.S. ambassador Chris Stevens and three other Americans were killed. CNN Digital and CNN International have triumphed at the Foreign Press Association Media Awards, winning three categories. The Print & Web Feature award was clinched by "Mauritania: Slavery's Last Stand" - a CNN Digital feature that revealed the shocking extent of slavery in modern Mauritania. The judges remarked that the piece was "in some ways the most convincing and best edited of all the categories." The CNN documentary "World's Untold Stories: Secrets of the Belfast Project" won News Story of the Year by a full FPA member. The Arts & Culture award was given to "Leonardo - The Lost Painting," a documentary that explored the story behind the recent discovery of a Leonardo da Vinci painting. A CNN investigation into modern day slavery in Mauritania has won Best Feature at the annual Online Journalism Awards. “Slavery's Last Stronghold” followed the stories of slaves and slave owners in Mauritania, the last country in the world to abolish slavery but where it is thought between 10% and 20% of the population still live in servitude. Spending nearly a year to gain entry into the country and conducting many of their interviews at night and in covert locations, CNN writer John Sutter and digital content producer Edythe McNamee went to great lengths to uncover the tragedy of slavery across generations. The project was published as CNN's first digital magazine, combining video, text, photography and interactive components. The 2012 Online Journalism Awards were presented in San Francisco on September 22. The awards, which began in 2000, celebrate innovation in digital journalism around the world. (CNN) - Dozens of CNN iReporters recently uploaded videos of themselves telling escaped slaves in Mauritania that "we are with you" in the struggle for freedom. The videos follow a CNN project called "Slavery's Last Stronghold," which documented slavery in the West African country. 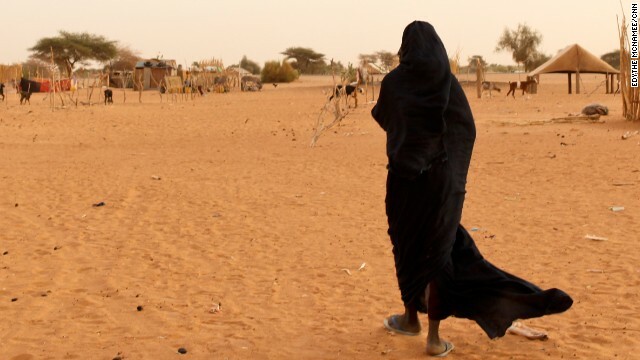 Mauritania was the last nation in the world to abolish the practice, and a UN representative estimates 10% to 20% of Mauritanians still live in a form of slavery. The iReport videos came in from all over the world - and each began with the phrase "we are with you" in Hassaniya, the language spoken by a group of women who attend classes at a center for escaped slaves in Nouakchott, the capital. In the iReport videos, an African-American woman shared a few lines from a slave song her ancestors sang. School children in South Korea chanted "we are with you" in unison. A family gathered in a living room to record a video. Messages also came from Sri Lanka and Germany. Watch a highlight reel of the clips at the top of this post, and please let us know what you think in the comments. CNN plans to find a way to show the messages of hope to these women who escaped slavery. By including a phrase in the local language, iReporters ensured that the women who escaped slavery will understand their messages. 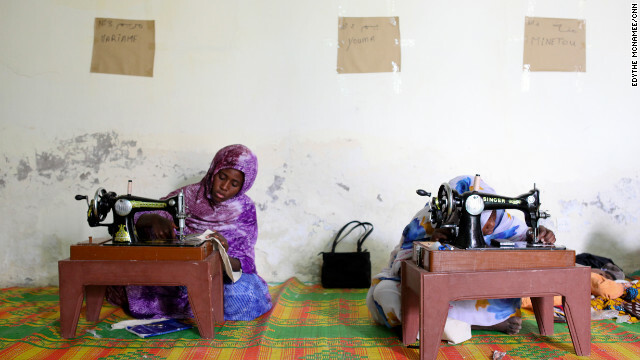 (CNN) - After reading CNN’s special report on Mauritania, “Slavery’s Last Stronghold,” it may seem like little can be done to end slavery in this West African country, where an estimated 10% to 20% of people are enslaved. I must tell you that in Mauritania, freedom is total: freedom of thought, equality - of all men and women of Mauritania. Equality for all people. There is a phenomenon to which you are probably alluding, that has existed in Mauritania, that has existed in other countries, which is slavery. And it is abolished in all communities, and criminalized today by our government. 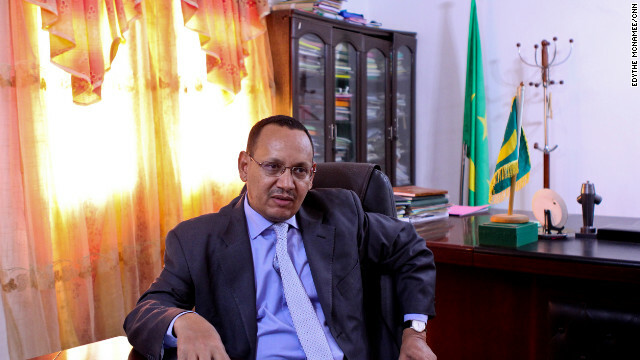 Therefore, there is absolutely no more problem of that in Mauritania. In all cases, especially with this government, this is in the past. There are probably former relationships - slavery relationships and familial relationships from old days and of the older generations, maybe, or descendants who wish to continue to be in relationships with descendants of their old masters, for familial reasons, or out of affinity, and maybe also for economic interests. But (slavery) is something that is totally finished. All people are free in Mauritania and this phenomenon no longer exists. And I believe that I can tell you that no one profits from this commerce. The interview was translated from French.